can light up someone’s lonely life. The best and most beautiful things in the world can’t be seen or touched. and your true self will speak with you. but have faith and you are exactly where you were meant to be. is the foundation to your life. but don’t give up your values. it’s going on when you don’t have the strength. can put out the light of one small candle. We are June Dickerson and Rob Dickerson. can have on your Mind, Body and Soul. and we are also Workshop Leaders and Tutors. 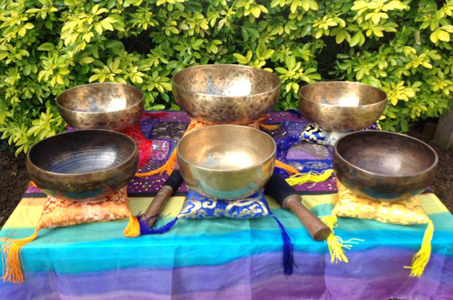 Workshop Leader, Tutor for The College of Sound Healing. We are retailers of hand crafted Himalayan Bowls sourced directly from a family in Kathmandu, Nepal. The Bowls are available online and by mail order. We are located in Bedfordshire and visits can be made by appointment only.